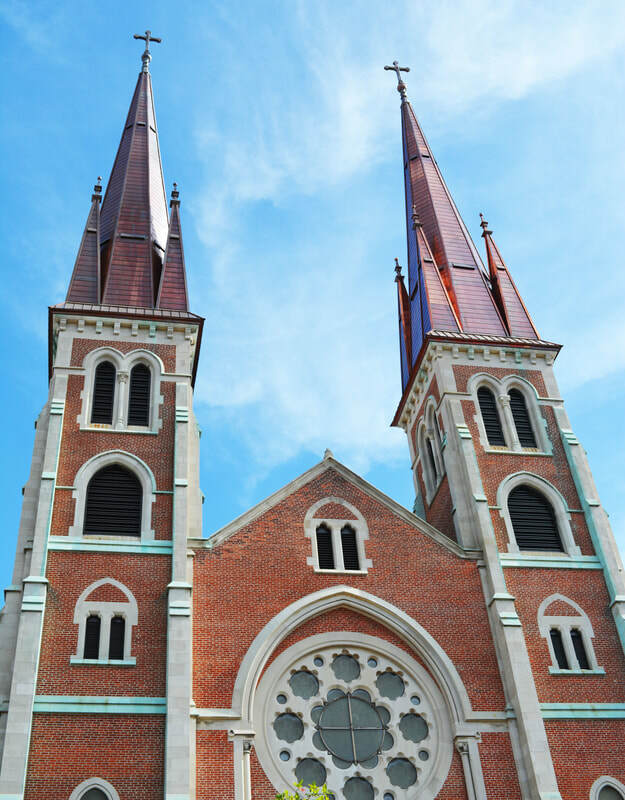 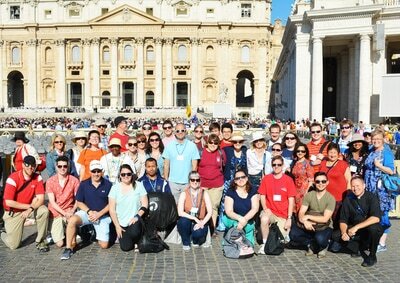 DAY 1 - Pray for St. John’s Pilgrims as they begin their pilgrimage today. 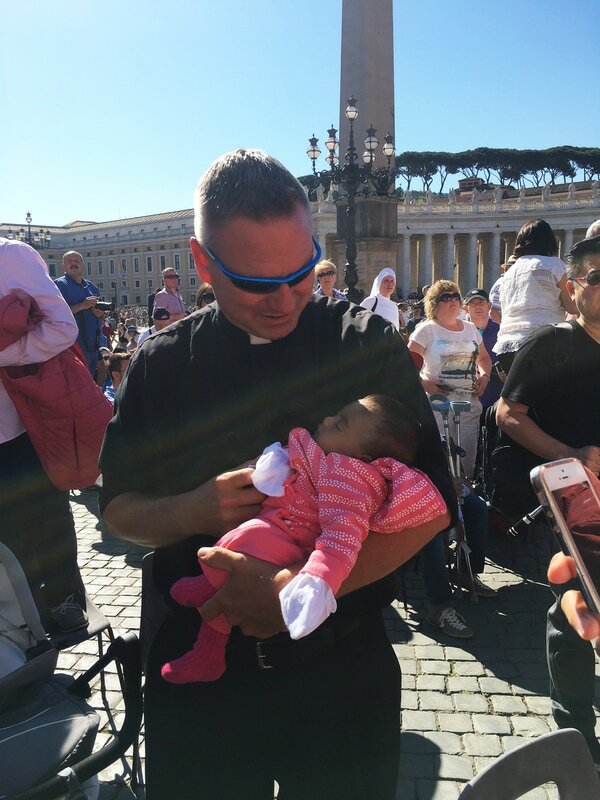 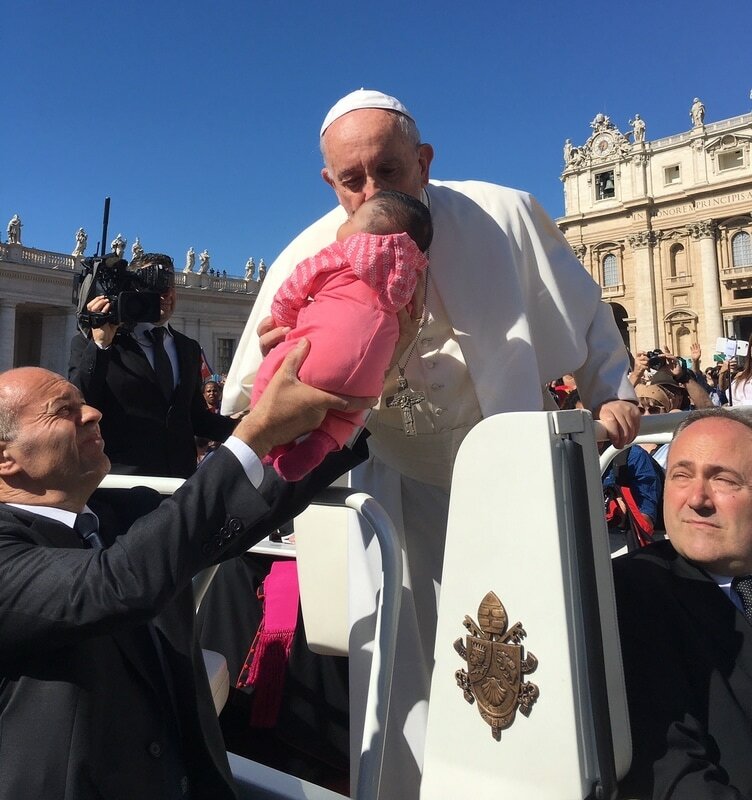 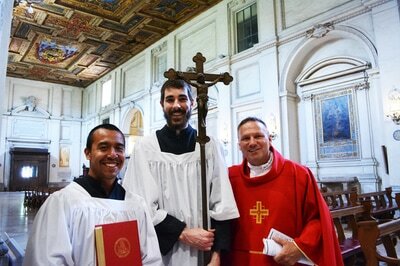 May they place all trust in God’s providence on this pilgrim journey and grow in holiness. 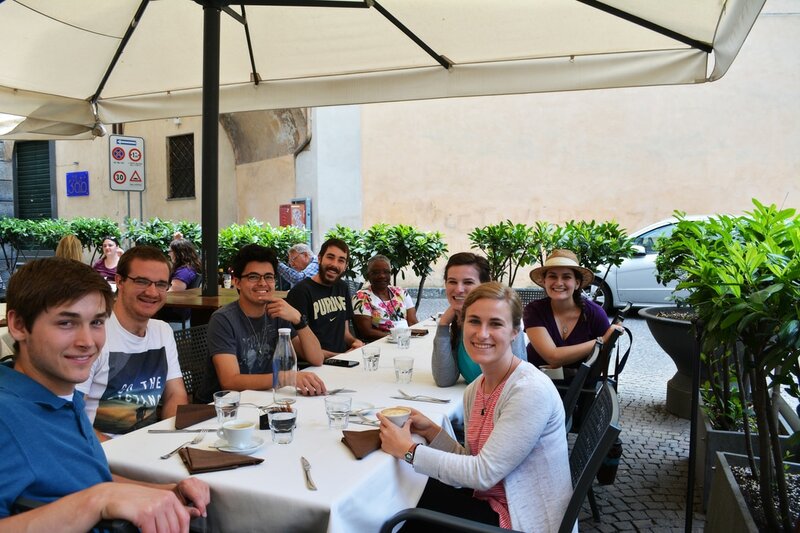 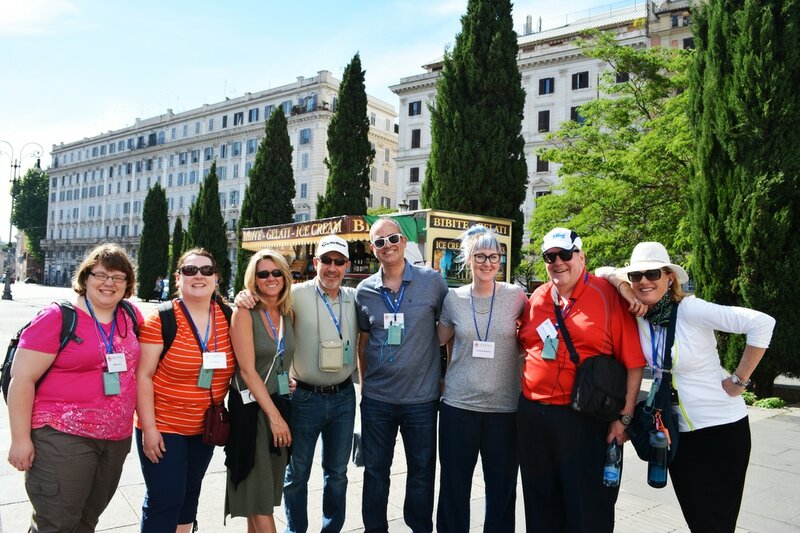 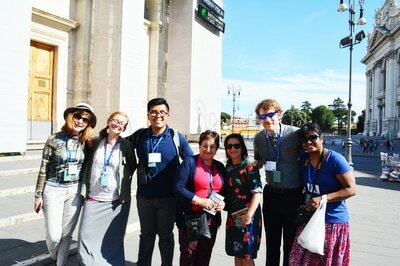 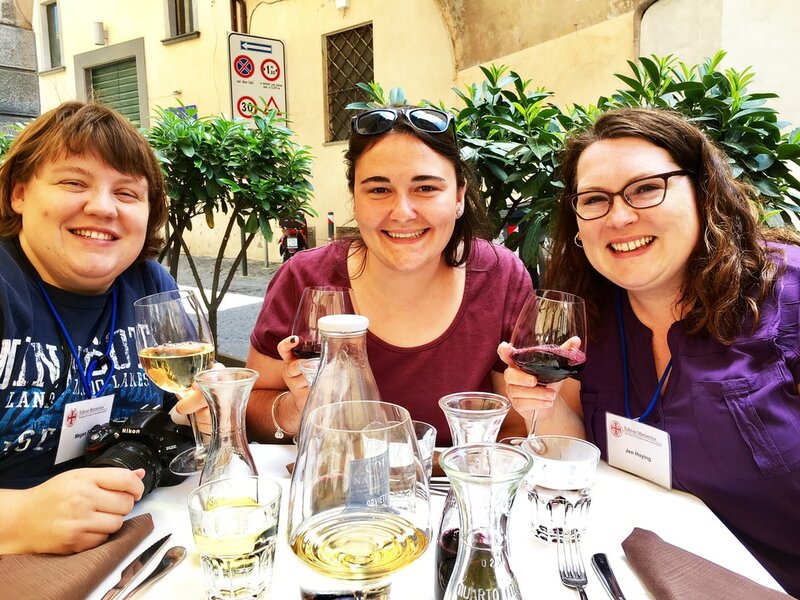 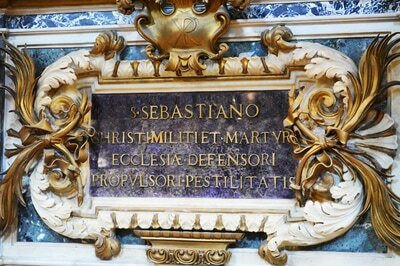 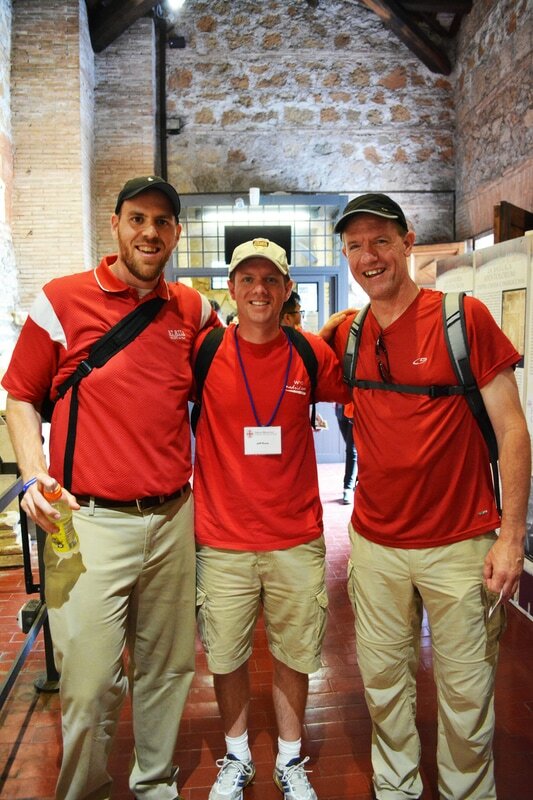 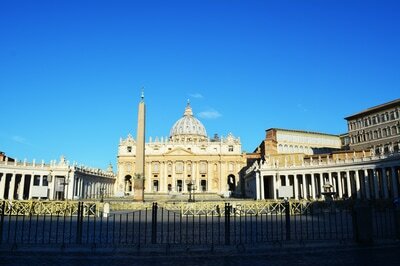 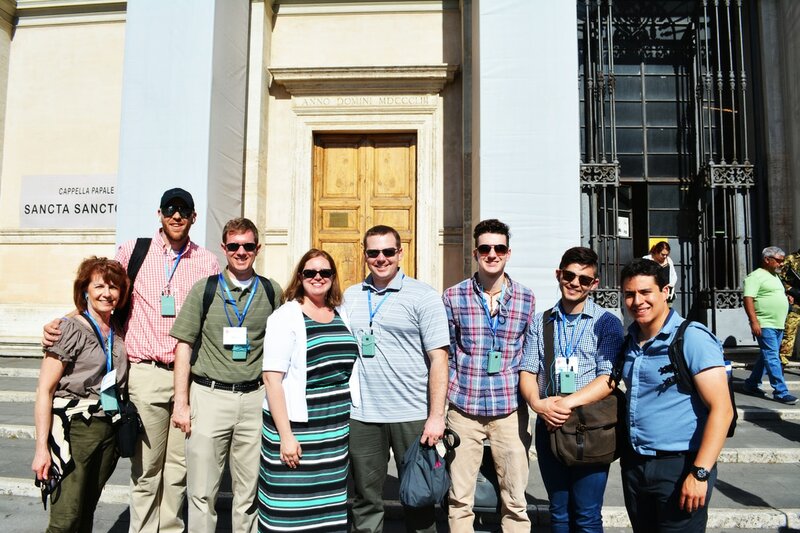 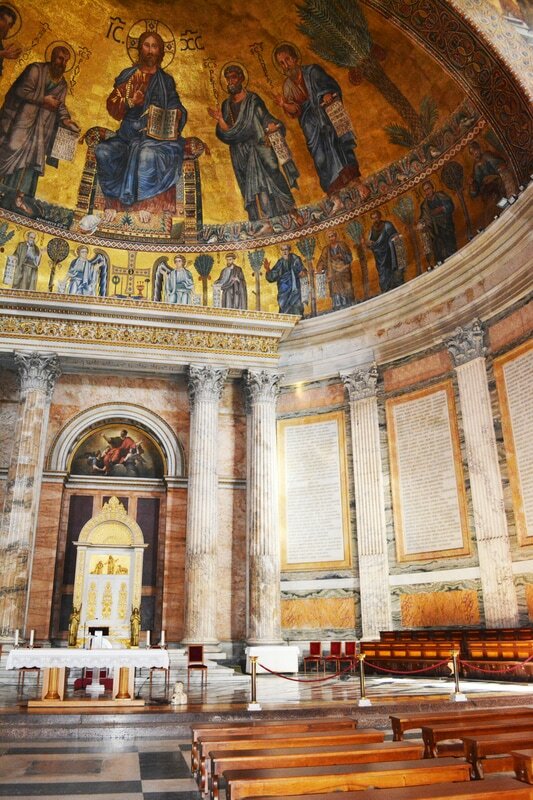 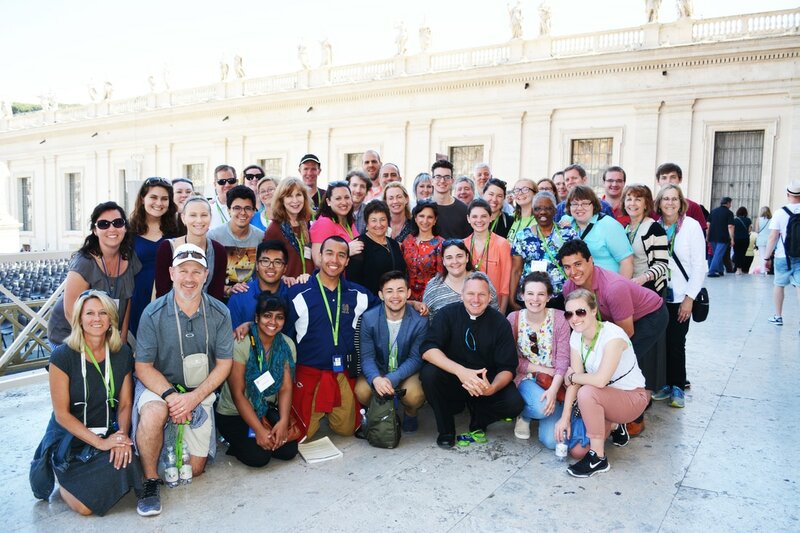 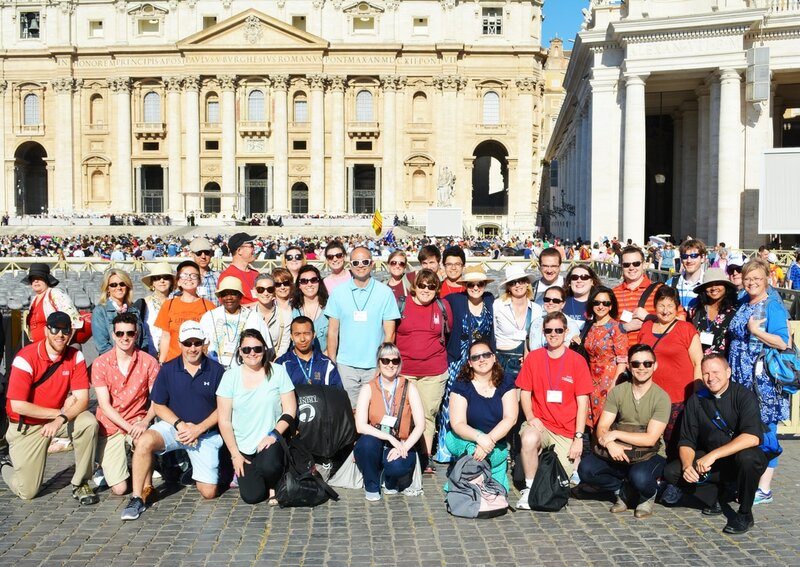 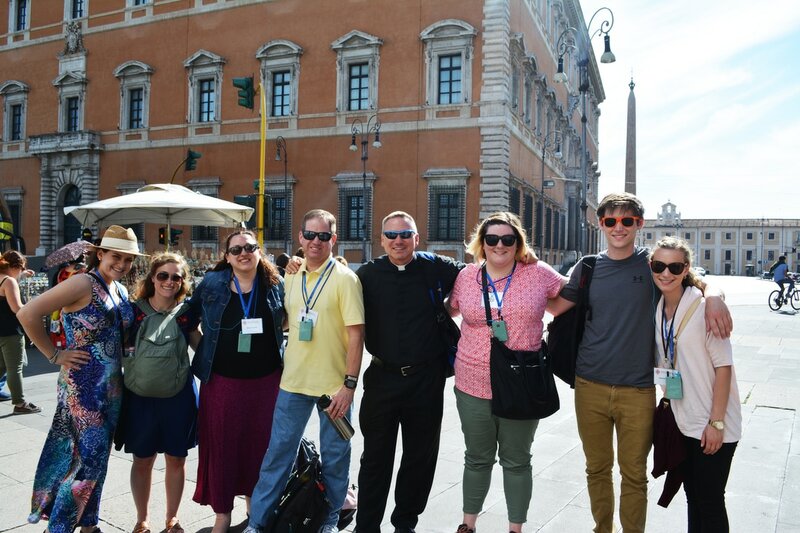 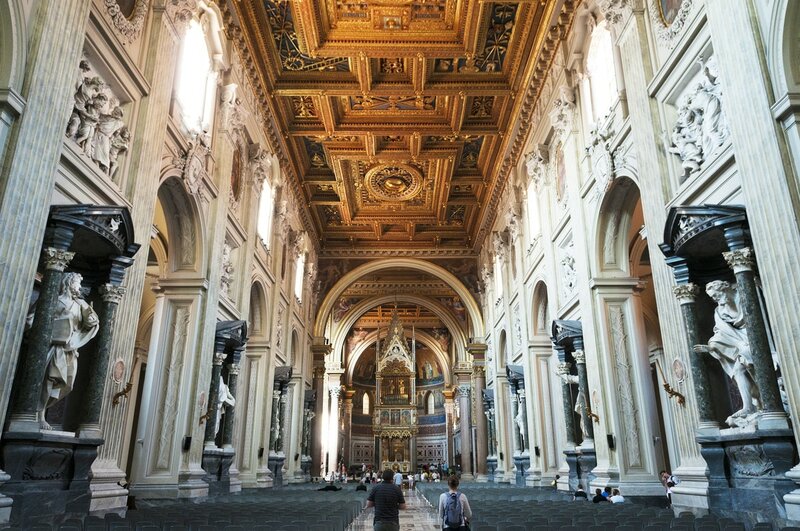 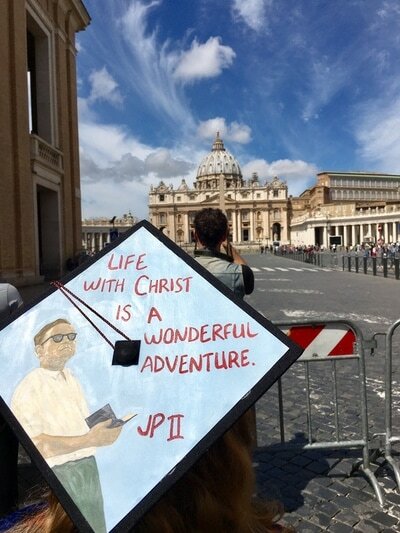 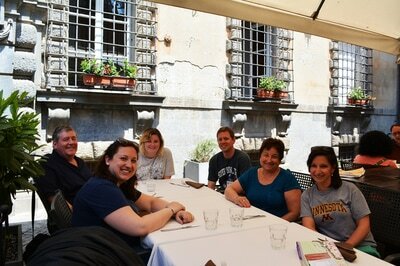 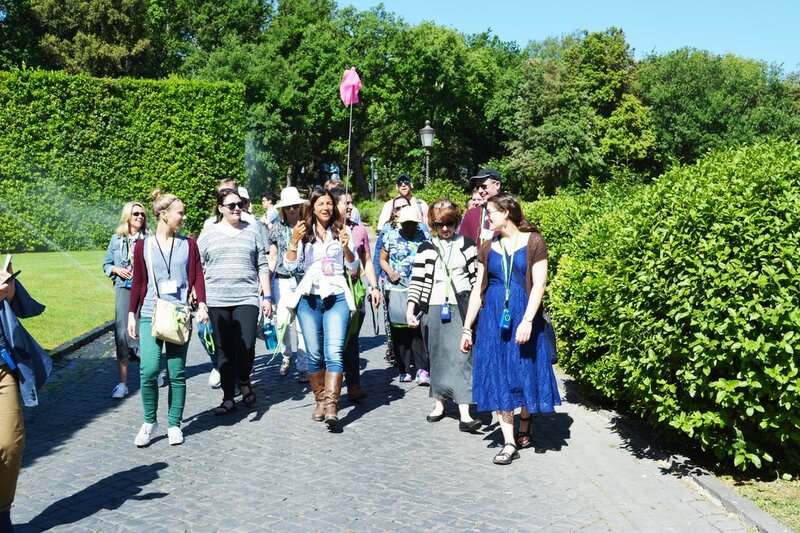 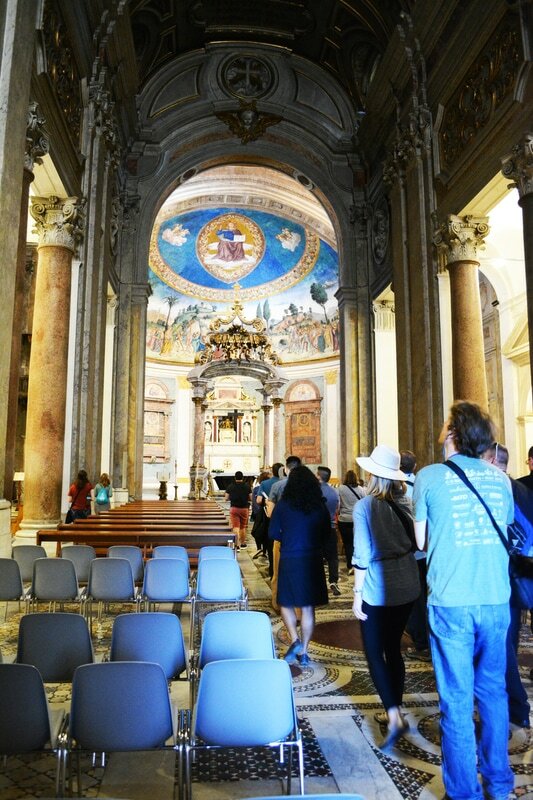 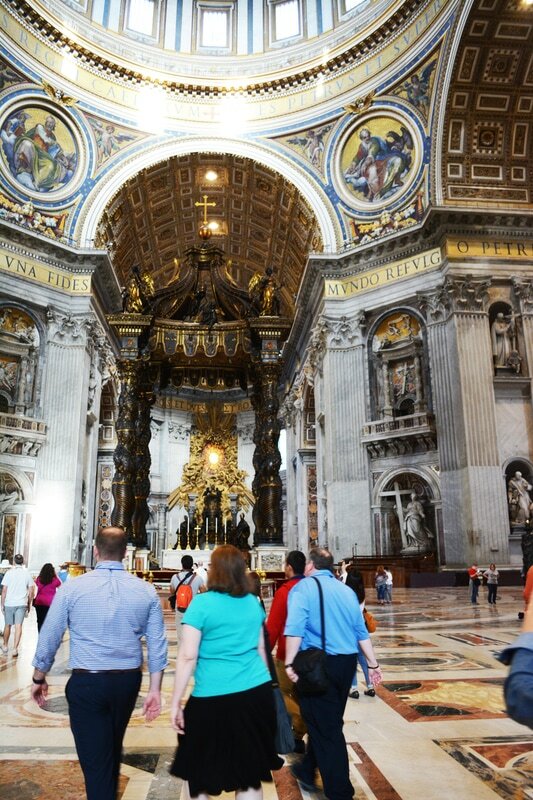 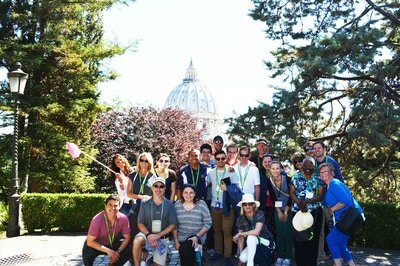 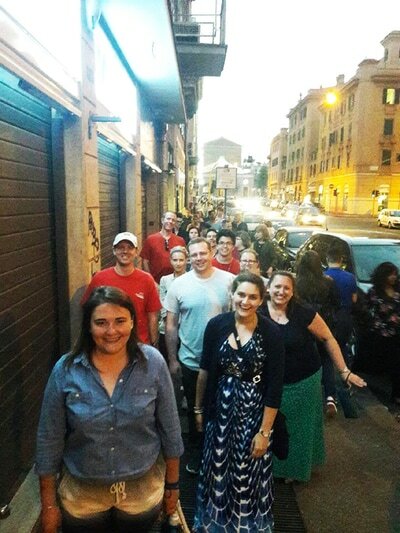 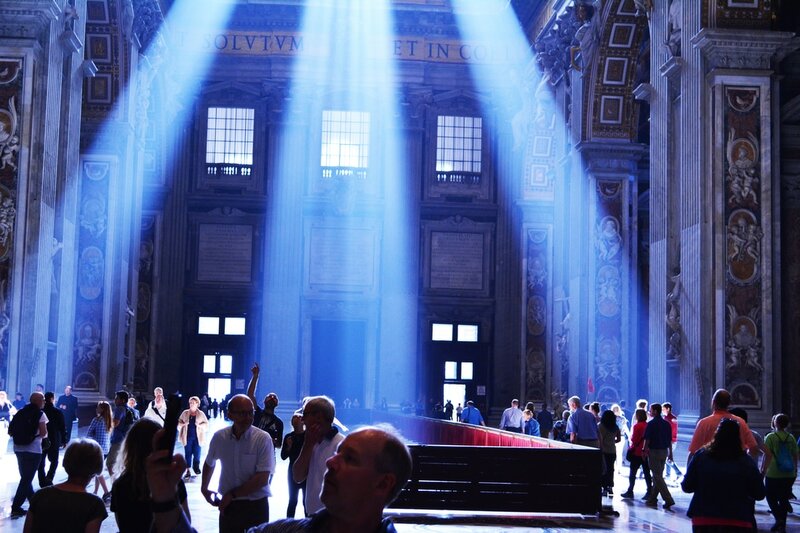 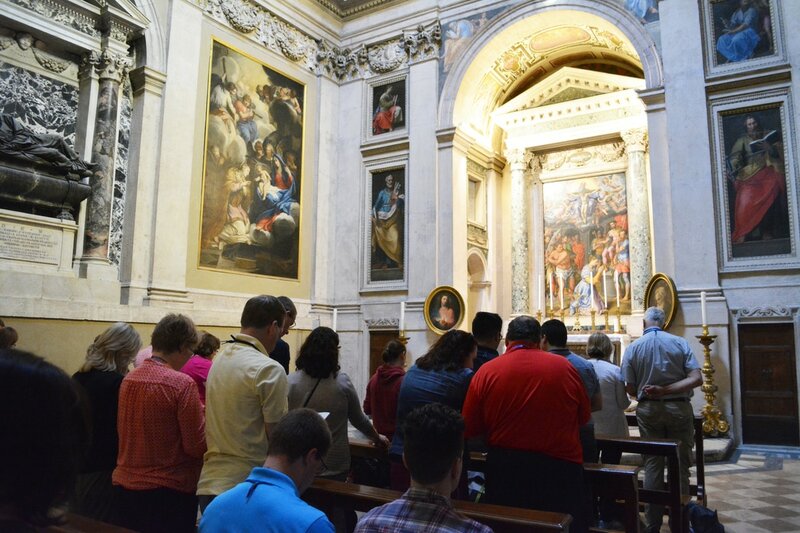 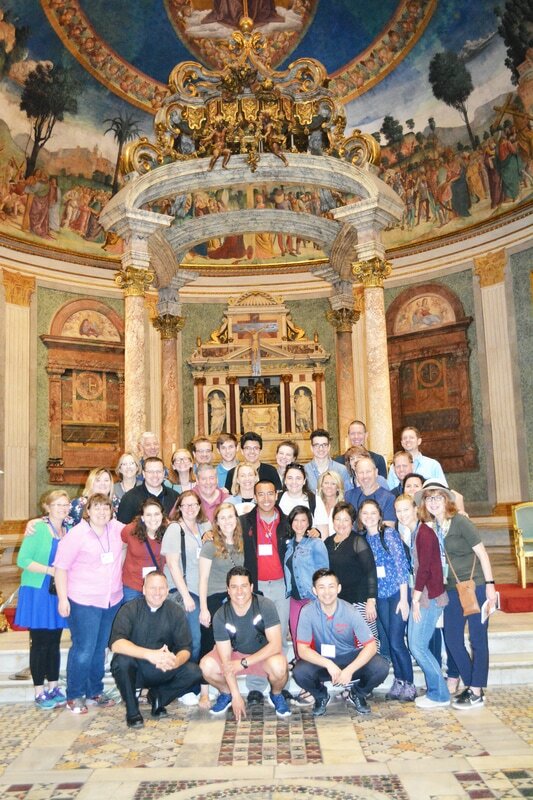 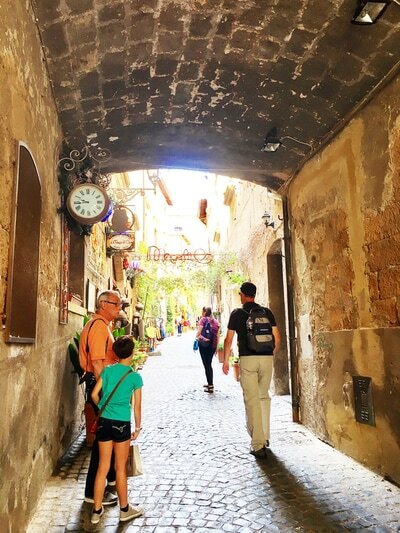 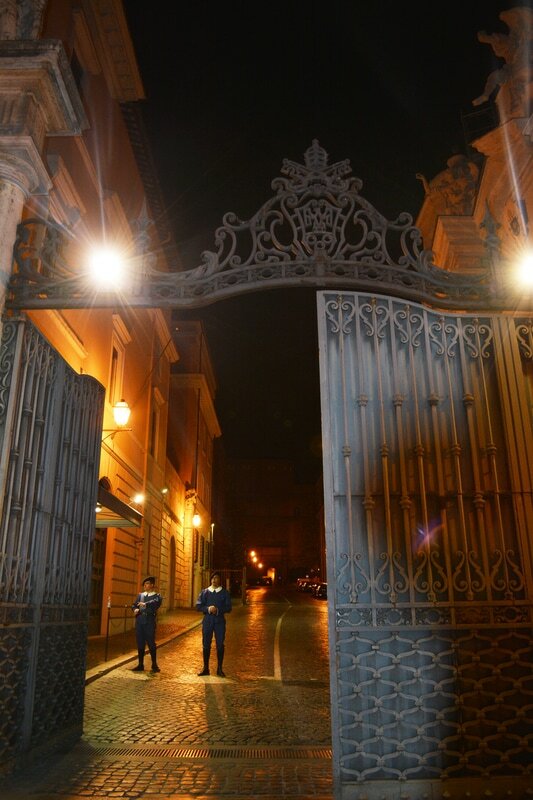 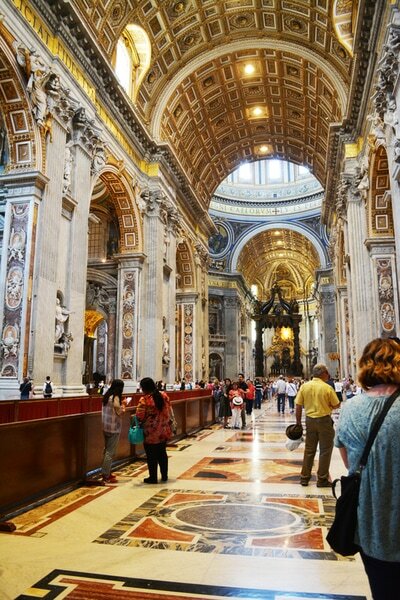 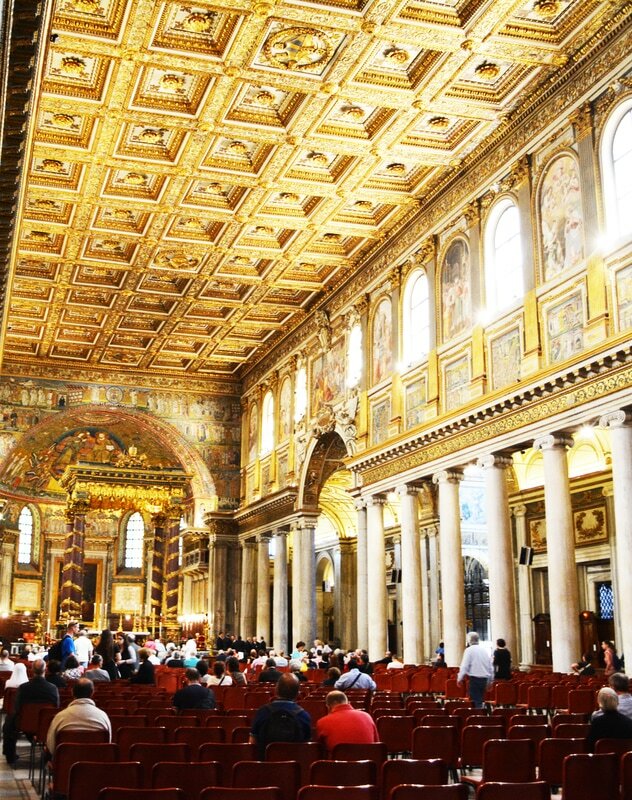 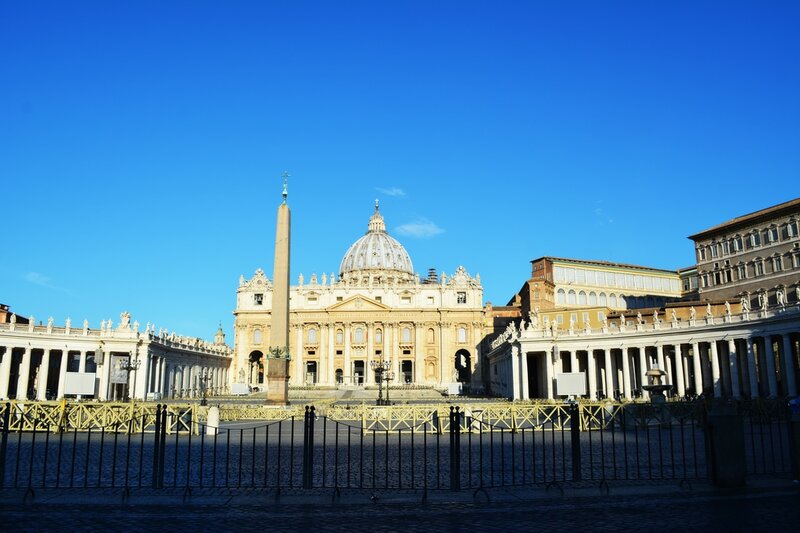 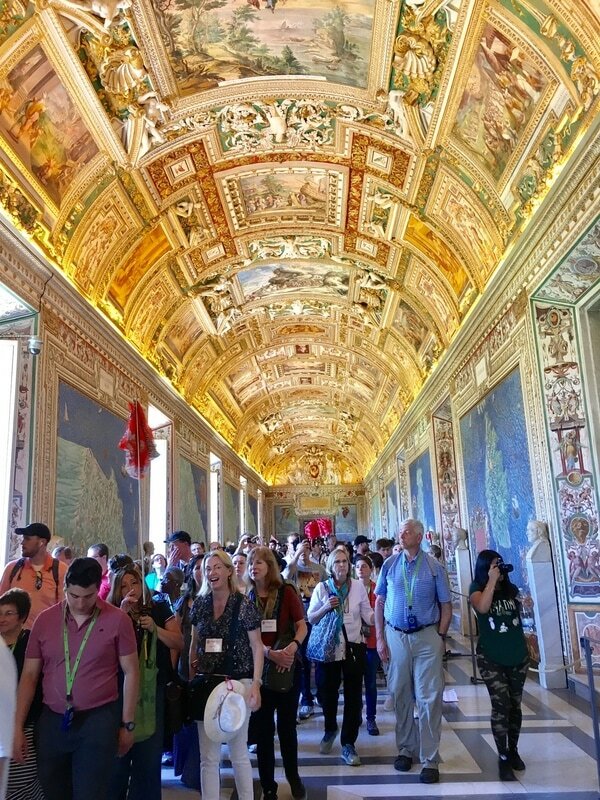 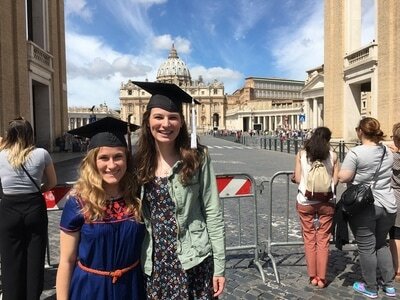 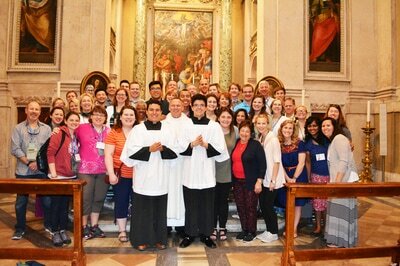 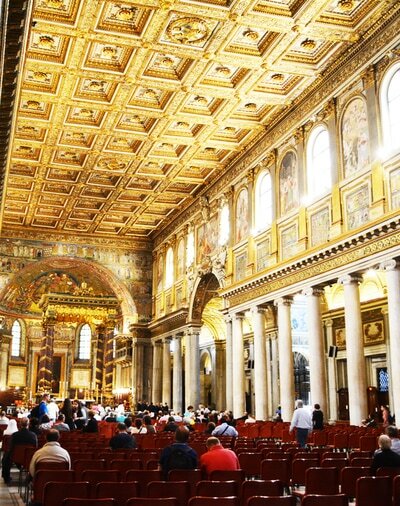 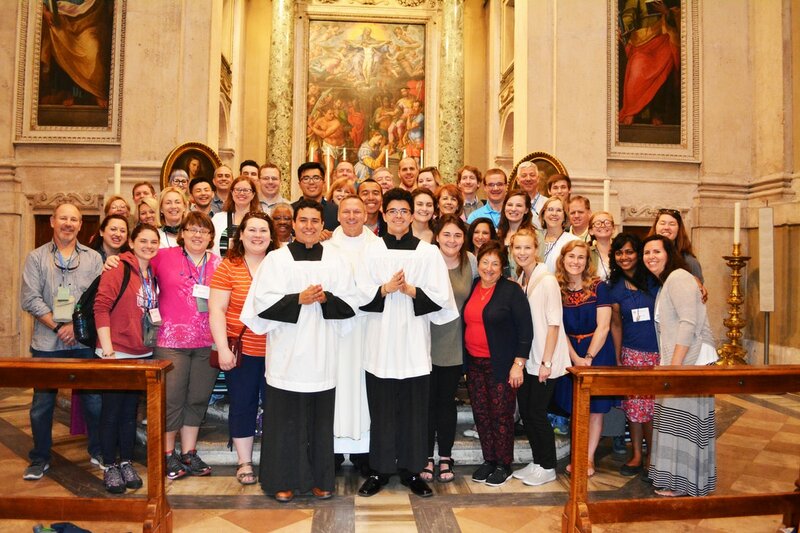 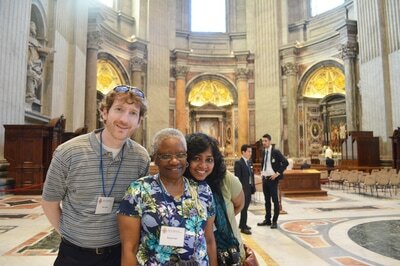 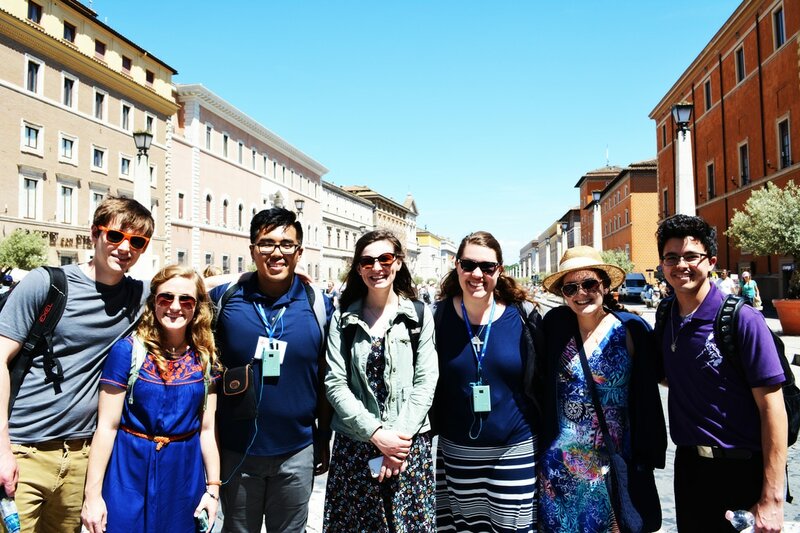 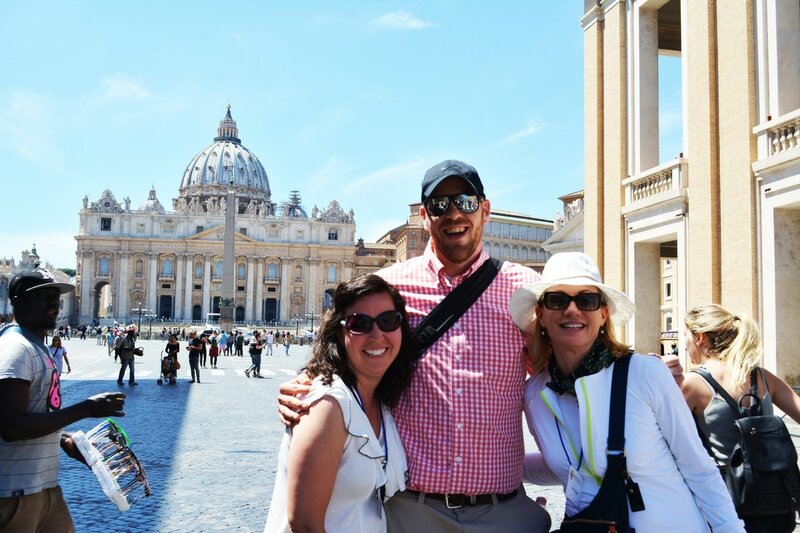 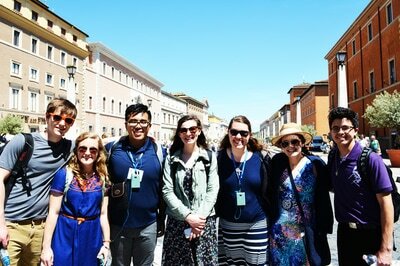 DAY 2 - Pray for the St. John’s Pilgrims as they arrive in the “Eternal City” today. May they enter fully into pilgrimage, growing deeper in prayer life, stronger Sacramental lives, and personal relationship with Jesus, through the intercession of our Blessed Mother Mary on this 100th anniversary of Fatima. 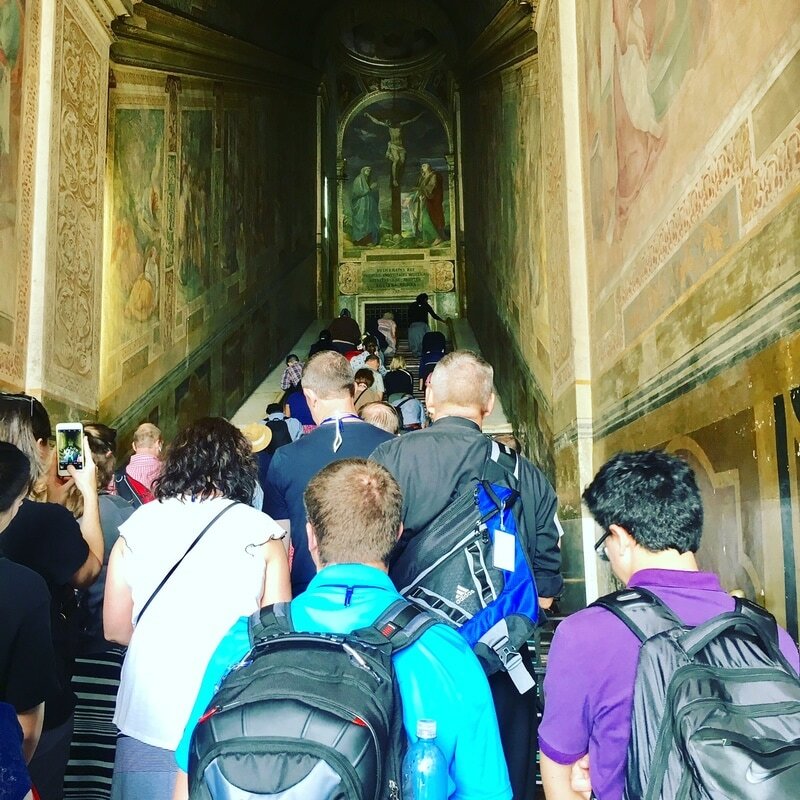 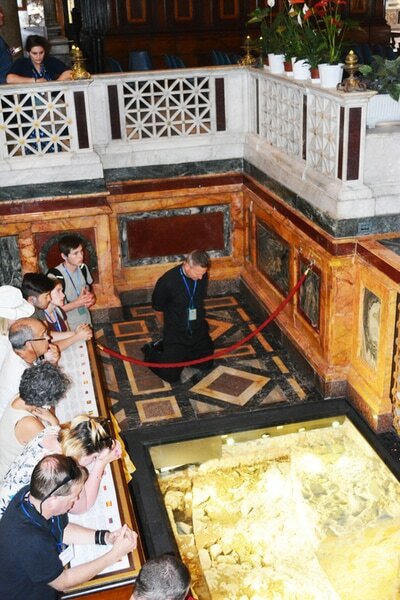 DAY 3 - Pray for the pilgrims as they visit Scala Sancta, the Holy Stairs, entering into the Passion of Jesus with humble and contrite hearts, that they may be given the strength to carry their crosses in life. 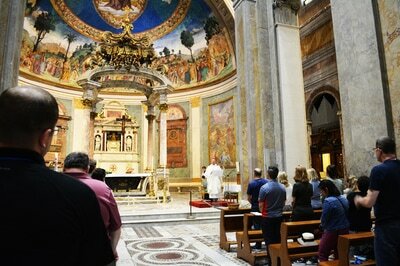 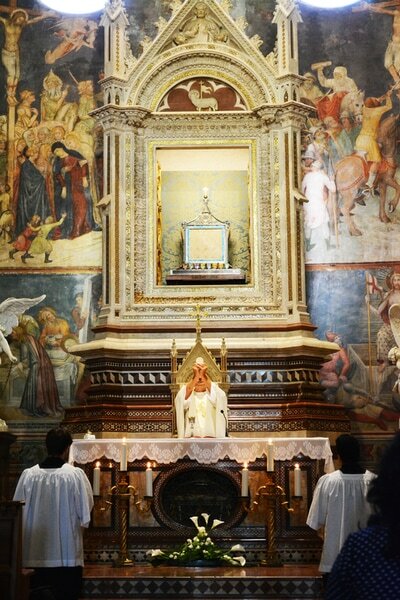 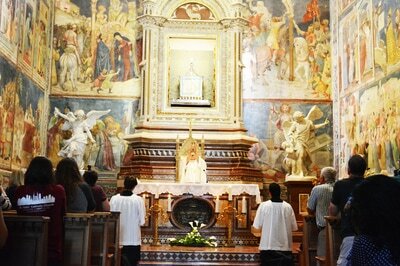 Day 4 - Pray for the pilgrims as they visit the Adoration Chapel at the Vatican today. 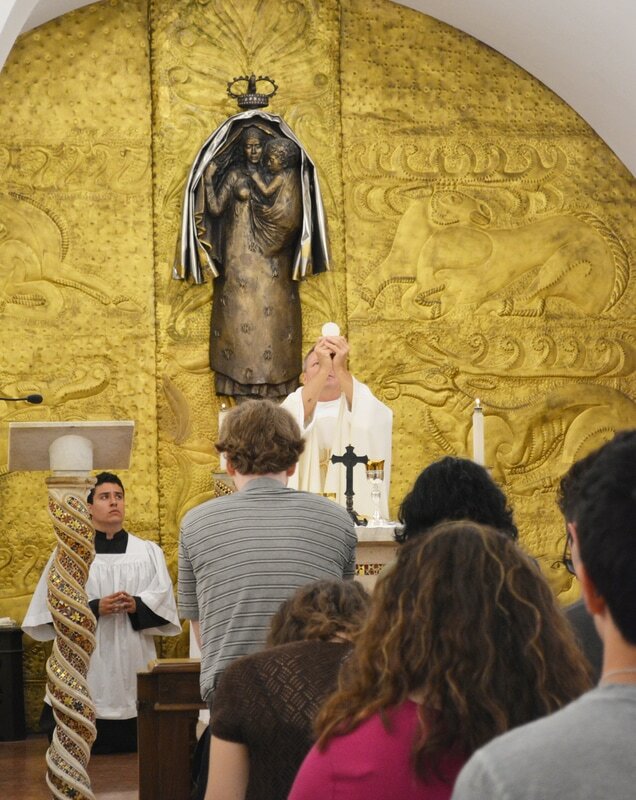 May they experience a renewed personal encounter with Jesus today and every day through the Eucharist. 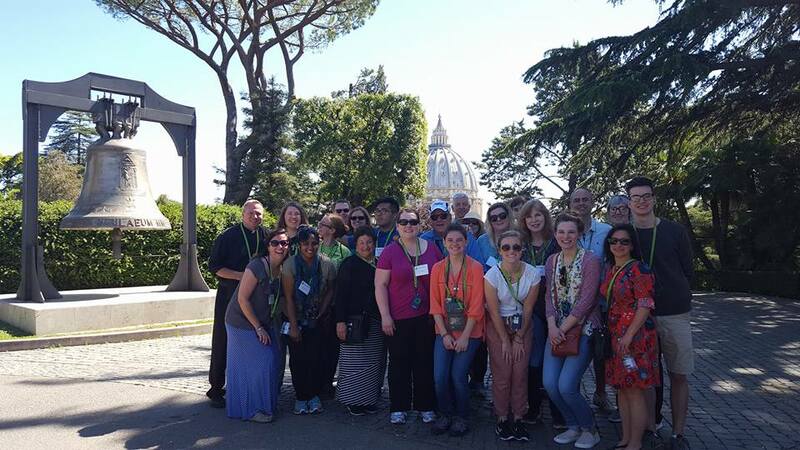 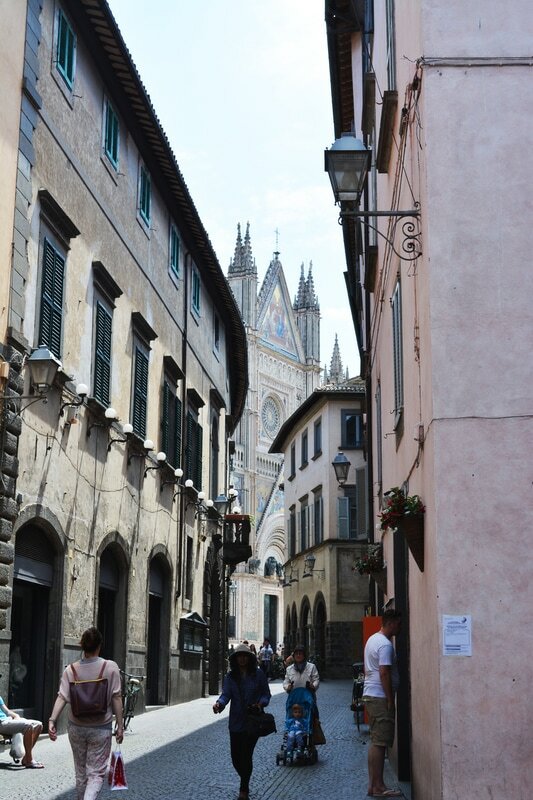 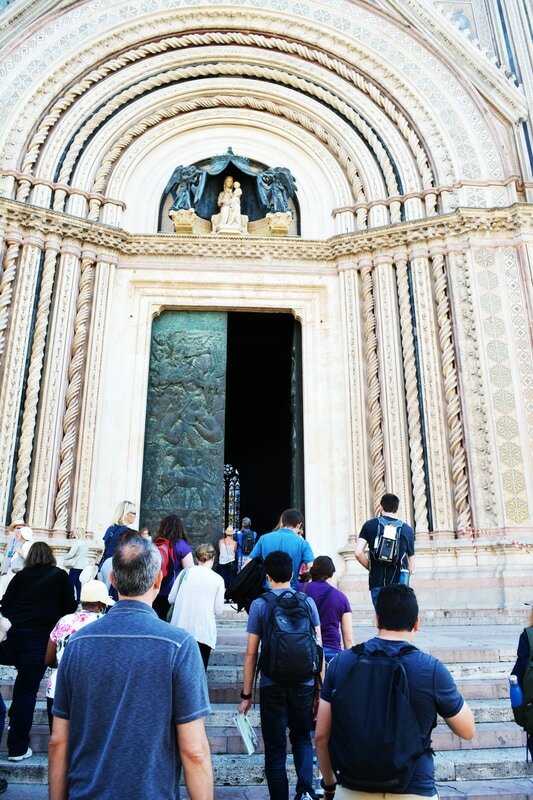 DAY 5 - Pray for the pilgrims as they travel throughout Italy today! 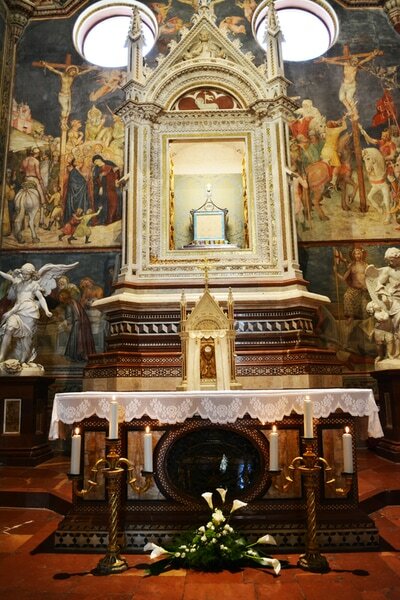 May they aspire to live authentic Christian lives through the examples of the Saints and the Holy places, they visit in their travels today. 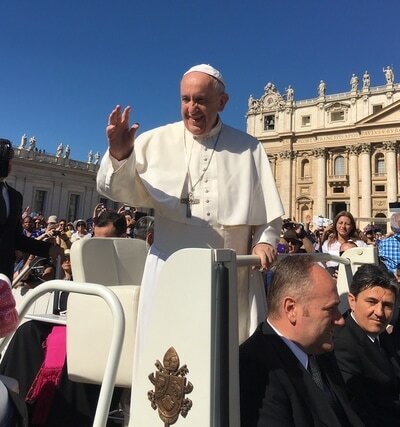 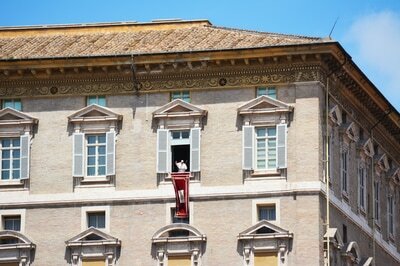 DAY 6 - Pray for the pilgrims as they have an audience with our Holy Father, Pope Francis, today. 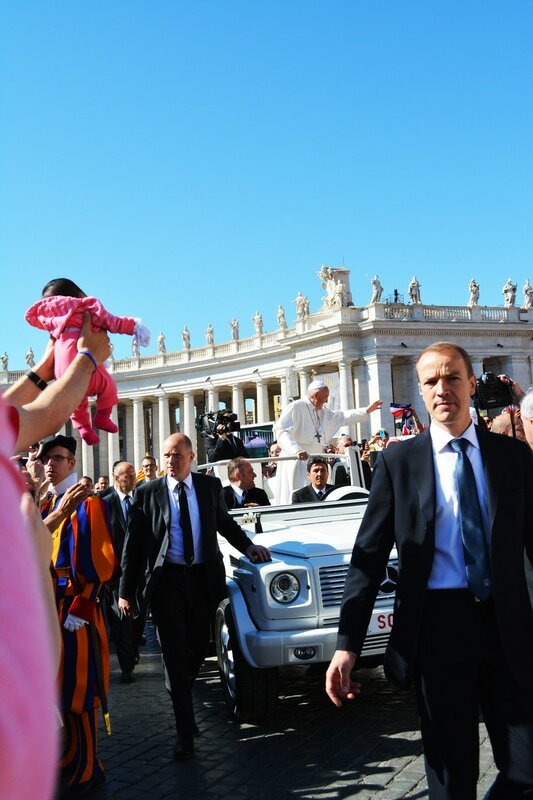 May the Holy Spirit continue to guide him as he leads the holy Catholic Church. And, may all Christians be set ablaze to evangelize and make disciples of all nations. 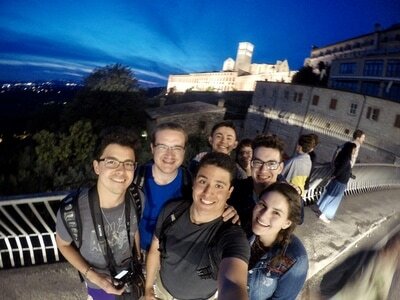 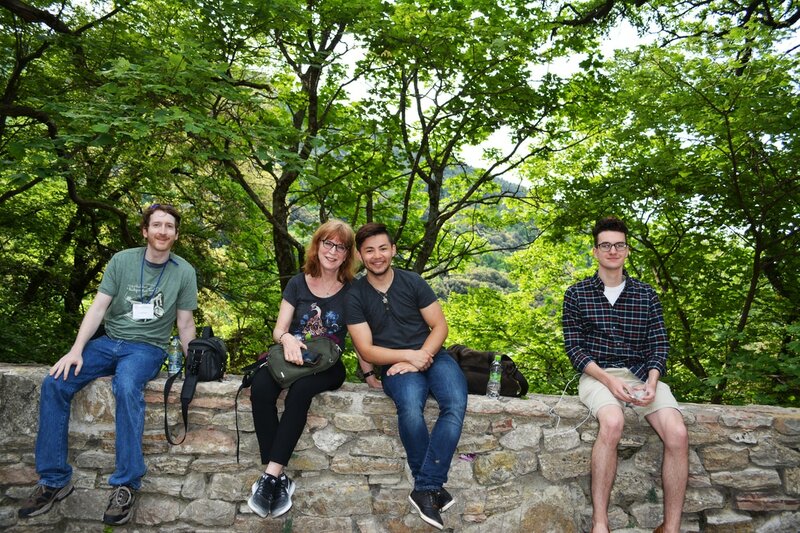 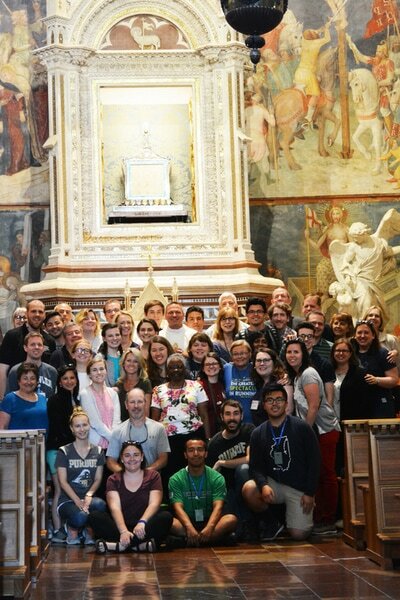 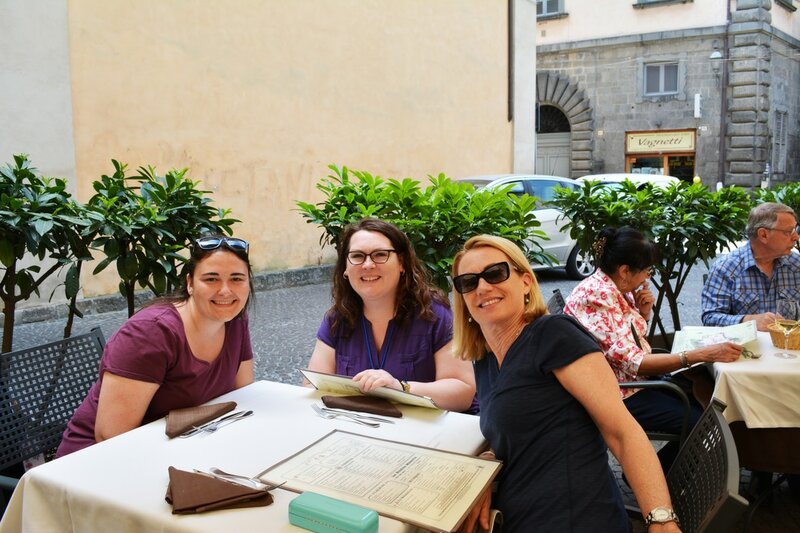 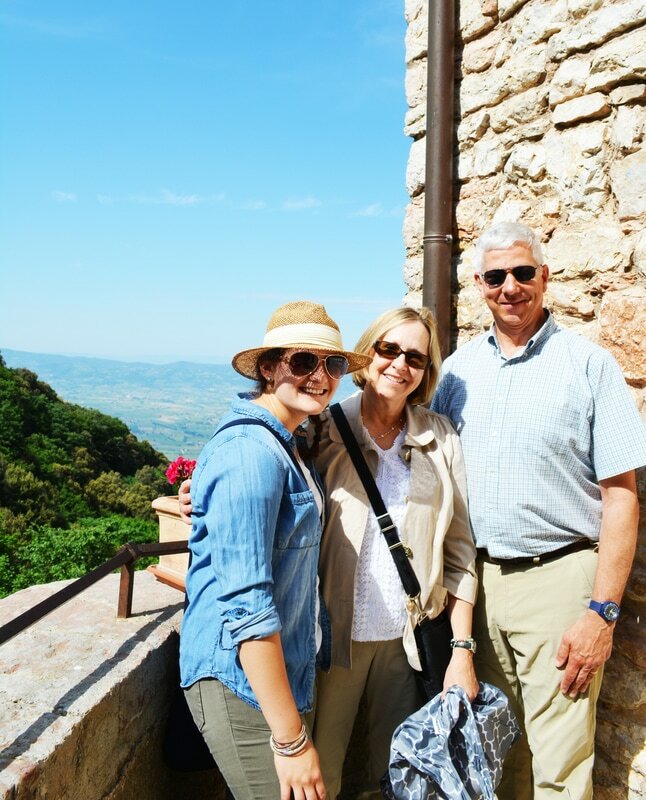 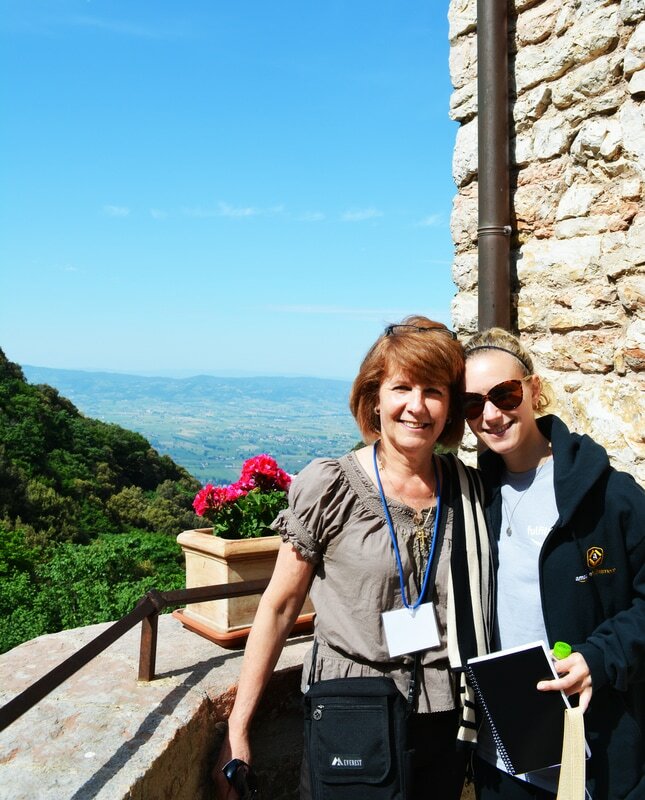 DAY 7 - Pray for the pilgrims as they travel to Assisi today! 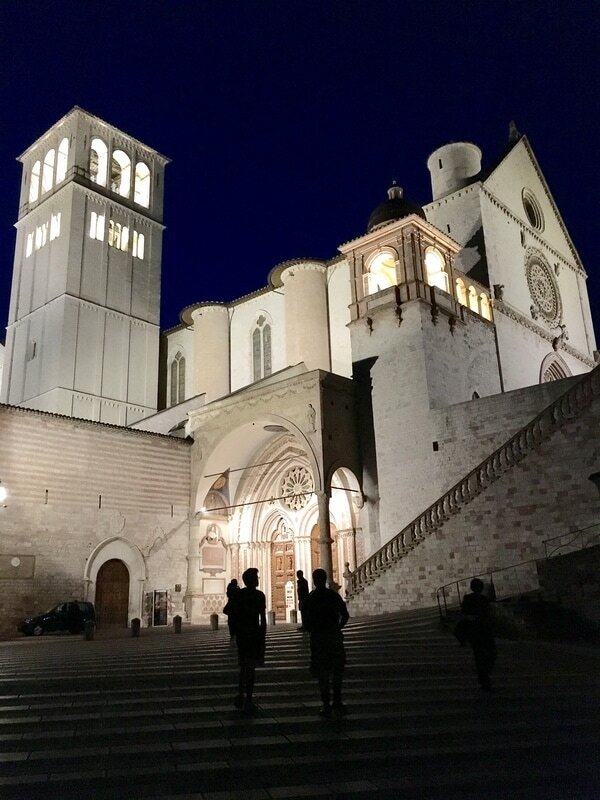 May the intercession of Saint Francis give them a greater heart to serve the poor; welcome the lost; and comfort those who suffer and are marginalized. 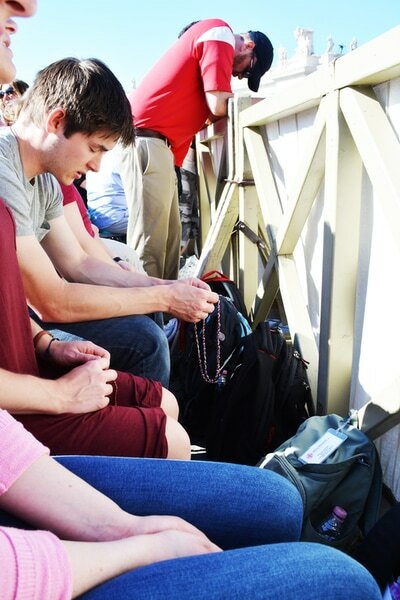 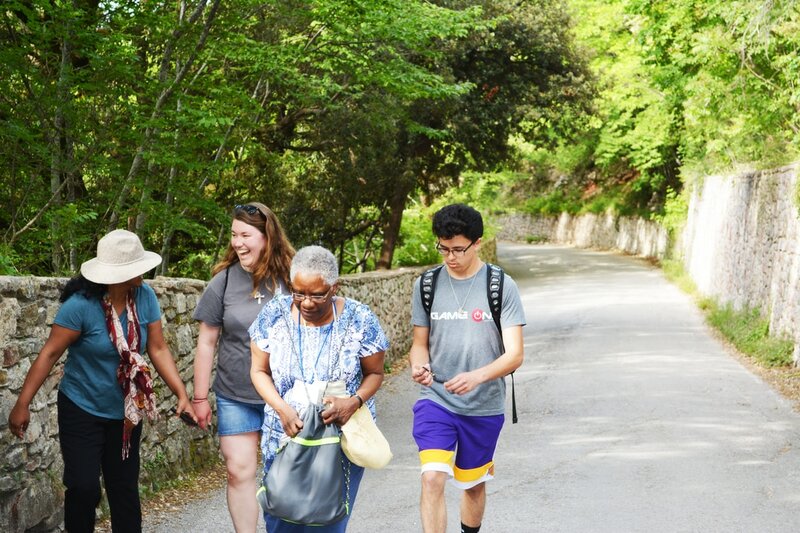 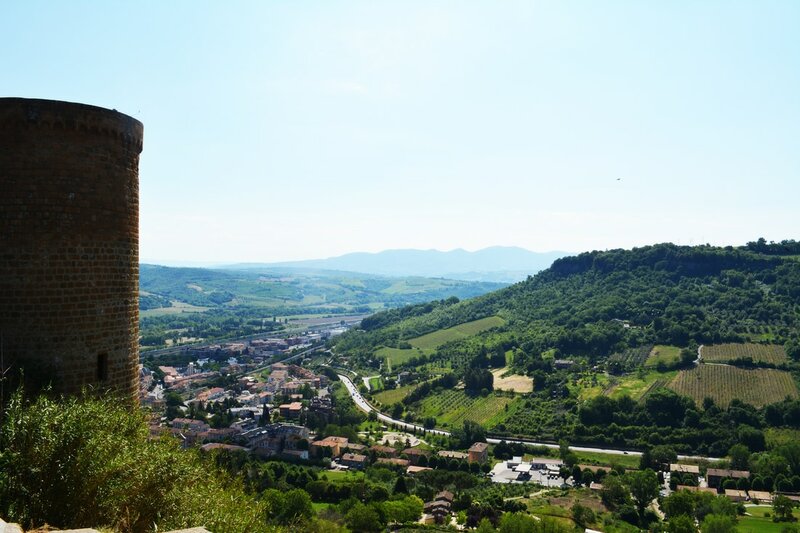 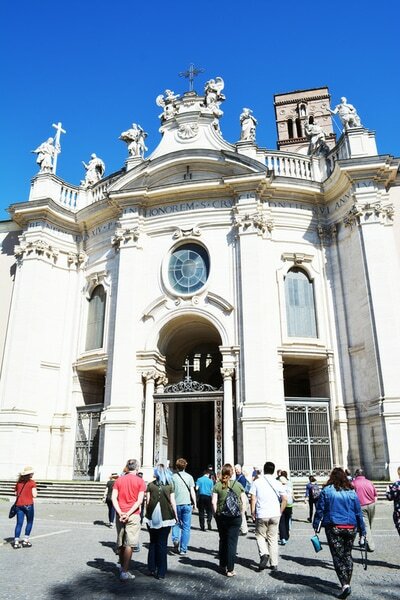 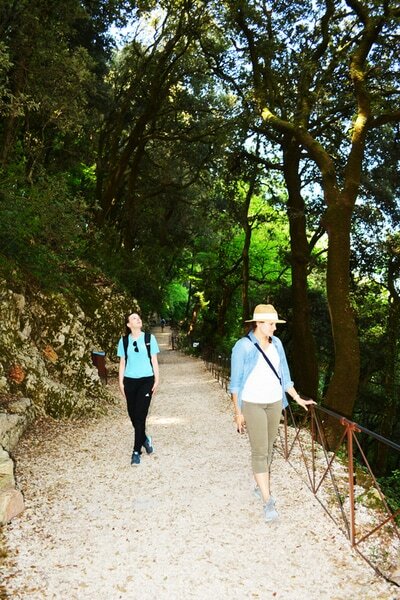 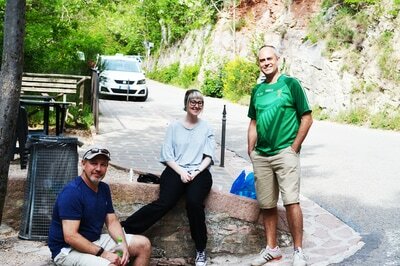 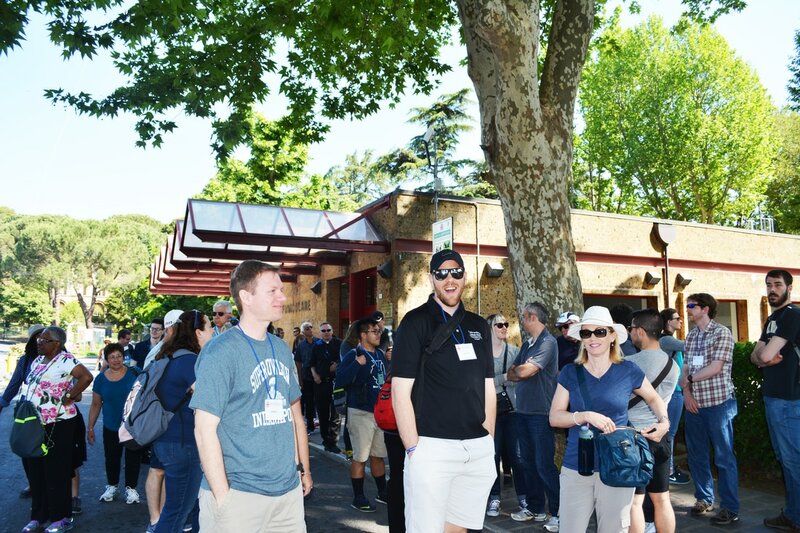 DAY 8 - Pray for the pilgrims as they hike up Monte Subasio to visit the caves of St. Francis and Clare this morning. 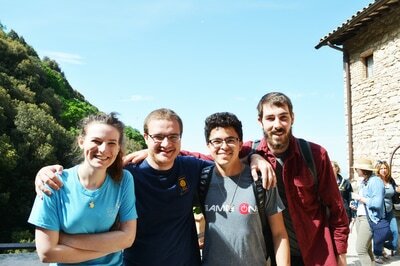 May they be united more closely to God through the beauty of His creation. 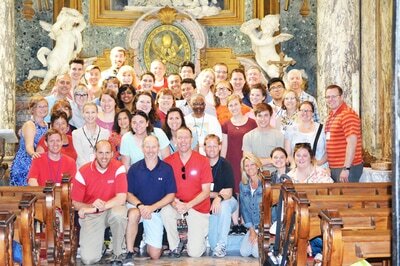 DAY 9 - Pray for the pilgrims as they visit the shrine of Saint Rita today. 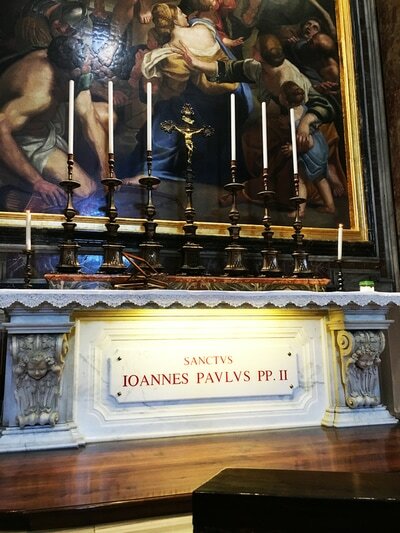 May her witness and intercession help all those who are hopeless, despairing or in impossible circumstances of life. 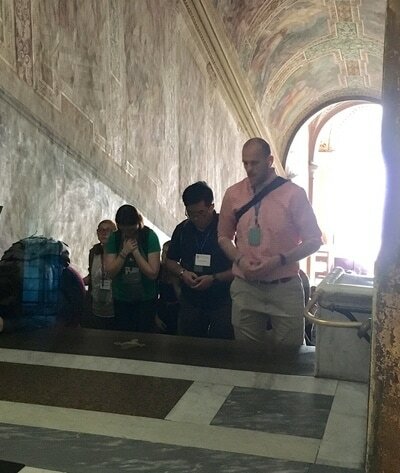 DAY 10 - Pray for safe travels as the pilgrims return home today! 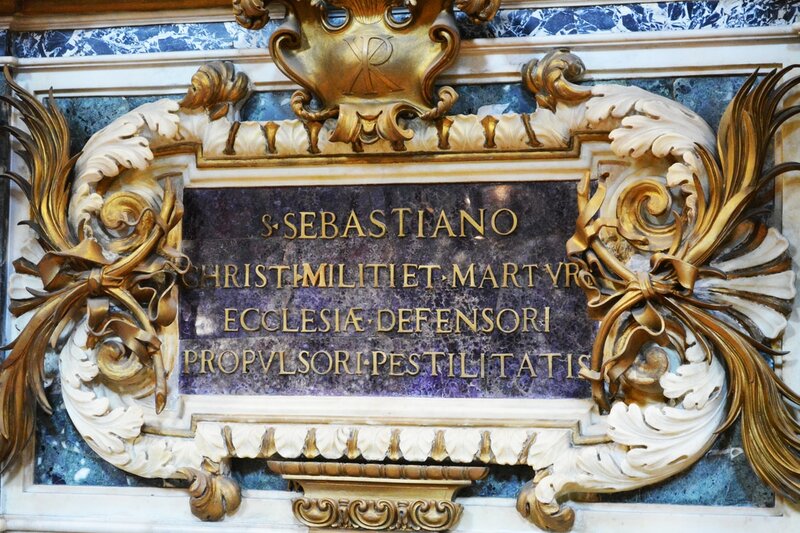 May the witness of our Holy Father and many great Saints give them a zeal to serve Jesus Christ and His Church all the days of their life. 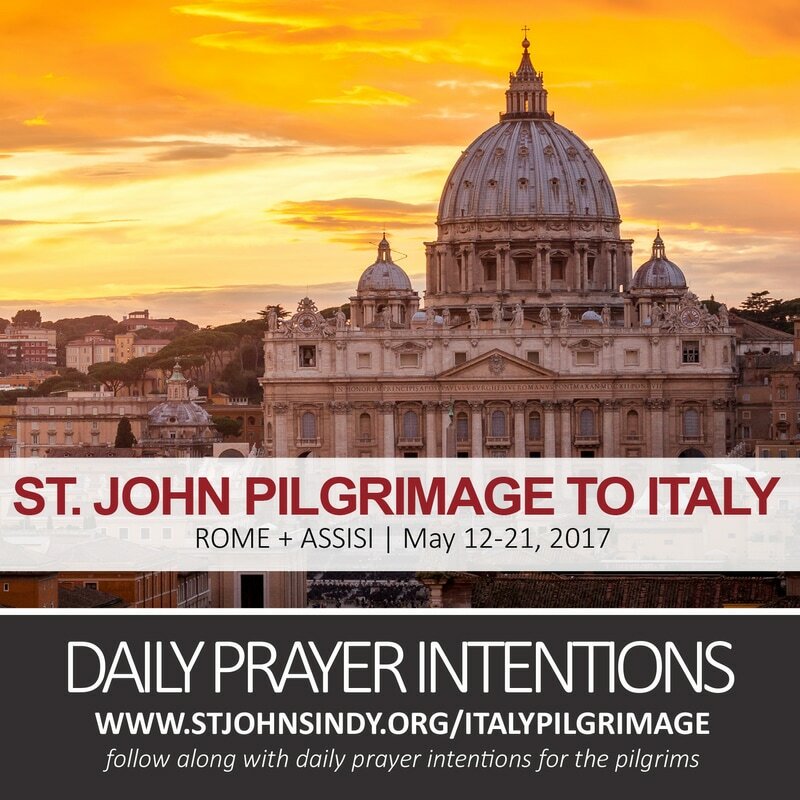 St. John Italy Pilgrimage Preparation Night from St. John's Indy on Vimeo.